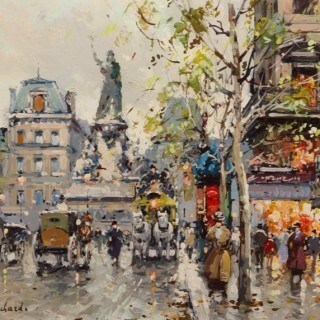 Antoine Blanchard. 1910 – 1988. Renowned French artist specialising in Parisian street scenes in a highly recognisable palette. Various antique Fairs and Exhibitions nationwide..........See schedule below.